We have entered the last 10 days of Ramadan. If the month of Ramadan is a special time in the Islamic calendar, the last 10 days are a particularly special time within Ramadan. Tradition connects the last 10 days with prayers for salvation from Hell. In other words, these final days of Ramadan are especially connected with seeking forgiveness. Here are a number of beautiful prayers, drawn from a wide range of sources, all of which offer a focus for asking for forgiveness. I hope all who pass by find these beautiful prayers beneficial. May God forgive us all for our sins and shortcomings. May we all be purified by the forgiveness, compassion and tender mercy of the Divine. 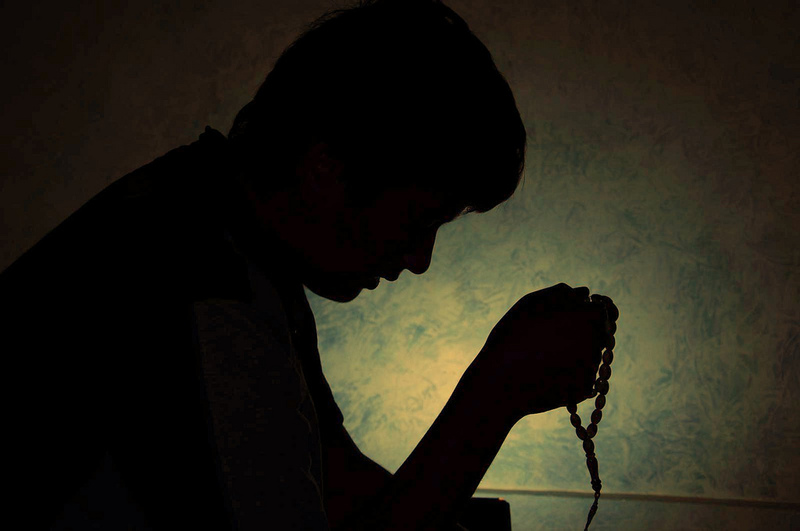 This prayer is attributed to the Prophet himself (alaihi al-salatu wa al-salam) and is described in the tradition as the best prayer for forgiveness. for my vain strivings, and the exhaustion of my abilities. for the greatest of my conscious sins, and the minor ones I have committed. for my errors and [the sins] toward which I was inclined. and for that which I earned upon attaining adulthood. [for saying] ‘belonging to me’ and ‘mine’, and for my suspicions and my [limited] understanding. for that which I knew and for which I wrote by pen. and my wakefulness, and for that which has maintained me [in life]. and its morrow, before it is created from nothingness. and for my disagreements with the aged and mature. and [as often as] the clouds have rained on the plains and hills. toward lands characterised by purity and sanctity. as the doves coo their songs in the branches. This beautiful prayer is attributed to the 4th Imam of the Shi`a tradition, Ali ibn al-Hussain (more widely known as Imam Zayn al-Abidin, may God sanctify his noble soul). It is beautifully recited below. You can also find the text itself online. This prayer is attributed to the 5th Imam of the Shi`a tradition, Muhammad al-Baqir (God sanctify his noble soul). I posted this beautiful prayer a few years ago. And my last prayer is praise of God, the Sustainer of All Being. This is very beautiful Abdur. In monastic tradition we have a prayer form called Lectio Divina in which we take a piece of writing, most often sacred scripture, and meditate upon it in a prescribed order. Always some small phrase will come up, sometimes immediately, sometimes on repeated reading. On reading the prayer you quote attributed to the Prophet himself, I was struck immediately by the phrase “I seek refuge”. There’s something active about it – such eagerness.